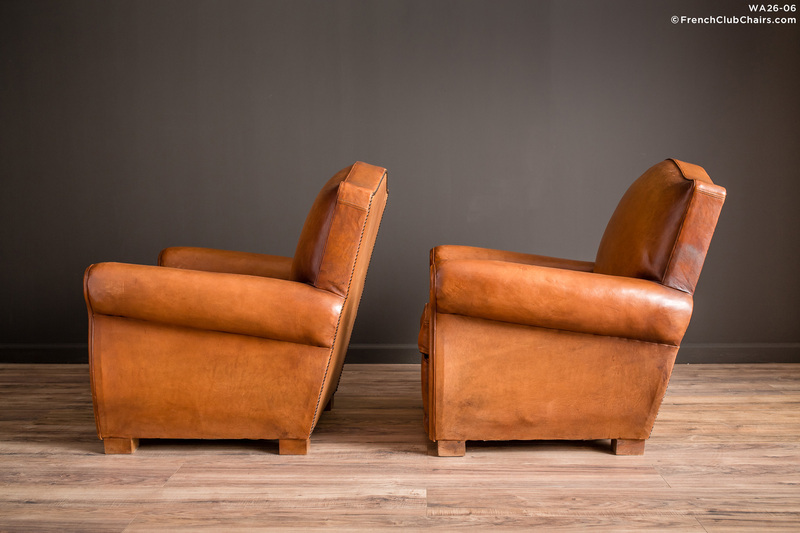 This pair of French Club chairs have the lovely gendarme back , This style is named after the French Policemans chapeau(hat) and of course Napoleons as well. All original leather in excellent condition overall. The sit is neither firm nor soft, it's kinda just perfect. These were purchased from a private home in the beautiful city of Grenoble. measurements: depth-33", width-32", height-32.5", seat depth-21", seat width-17",seat height-16"